Thank You for visiting our Community Calendar. If you would like to submit an event for review click on the green button to the right. In this chaotic, modern world, learn to bring peace into your life through mindfulness meditation. The Morgan Hill AAUW branch is hosting a workshop on meditation on Saturday, May 4, 2019, from 9 am – 2 pm at St John the Divine Episcopal Church, 17740 Peak Avenue, Morgan Hill. This day of instruction and practice offers both an introduction to mindfulness meditation for beginners and teachings for more experienced practitioners. 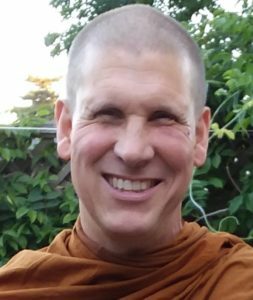 Ajahn Chandako, American Buddhist monk and abbot of a monastery in New Zealand, will present the basics of sitting, walking, and eating meditation, with an emphasis on integration into daily life. There is no charge; teachings are offered on a donation basis. For complete details go to http://www.aauwmh.org/wp-content/files/flyers/2019-05_meditation_workshop.pdf or contact Carol O’Hare, 408-782-9029, heart@aauwmh.org. 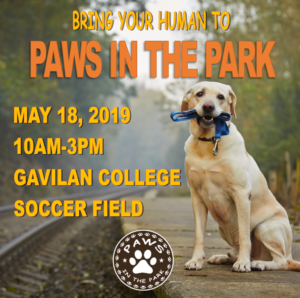 Paws in the Park is South County’s Inaugural Pet Festival, featuring contests like Best Wag, Doggie-Owner lookalike, and best costume, as well as demonstrations from local Pet friendly organizations. This is a free, family friendly, and pet friendly event. 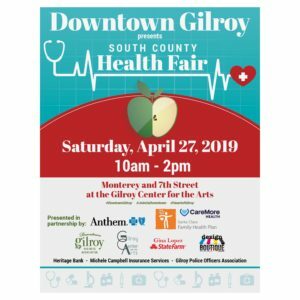 We will have local non profit organizations like South County Tail Waggers and the Gilroy Police Foundation. Come out for a day of fun with your furry friend!